The Summer Event on PC! It is time again for Risa’s annual Lohlunat Festival Festival, and with it some much needed R&R for Captains. From June 8th to July 20th, the residents of Suraya Bay and the Lobi Crystal Consortium have once again partnered together to bring festival participants the highest quality wares, including exchanging Lohlunat Prize Vouchers (2017) for the new Vorgon Ryn’Kodan Carrier [T6]. A Dev Blog containing full stats and description for the starship will be published separately, so keep your eyes open for it. This year Star Trek Online is inviting Captains to participate in a brand new event: The Biathlon! This exciting all-new race combines two favorite Risa activities – hoverboard racing and floater flying. Races will begin twice an hour at 30 minutes past and 50 minutes past the hour. The Risian Tiger-Striped Caracal is a small animal native to the planet Risa. 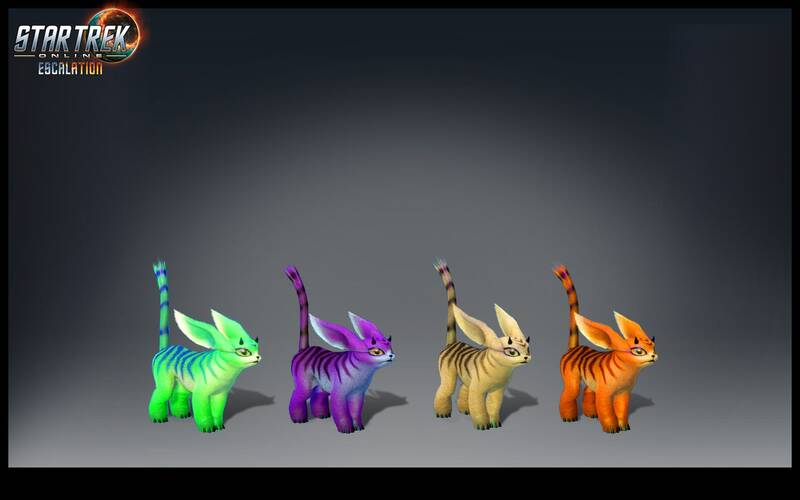 Different colors of Tiger-Striped Caracals are available from the Summer Event Store and the Lobi Store. With the addition of the new Biathlon event, we’re releasing new Gold, Silver, and Bronze Floaters and Powerboards. Captains will need to place First, Second, or Third place in the Biathlon to gain access to them in the store. Each of the new Floaters and Powerboards have the same features as the existing Superior models. 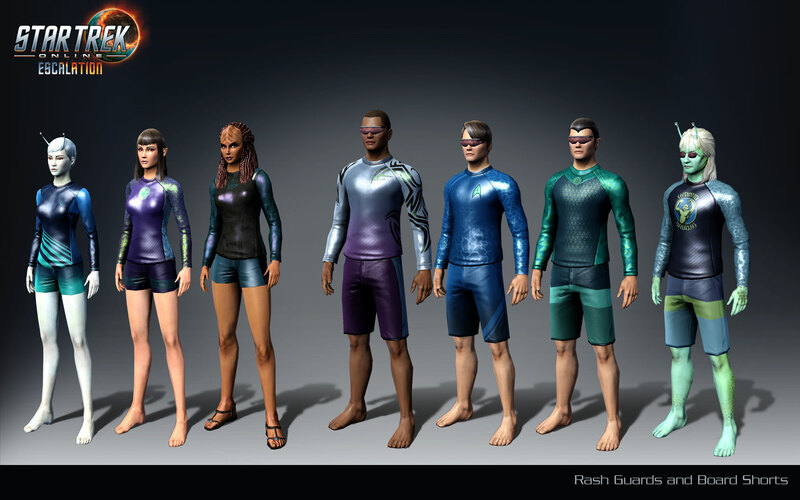 This year we’re introducing Rash Guard swimwear! Surf the waves in style, Captain! Universal Kit Module – Sandstorm Generator: Captains can place down a Sandstorm Generator that travels towards the targeted foe, reducing the defenses and potentially blinding anyone caught within its range. We’ve turned all of our old Risian Kit Modules into Training Manuals available to Ensigns, Lieutenants, and Lt. Commander ranked Bridge Officers. This includes the Hurricane Generator, Molten Terrain, Seismic Agitation Field, Sonic Disruption, Graviton Spike, and Corrosive Grenade.